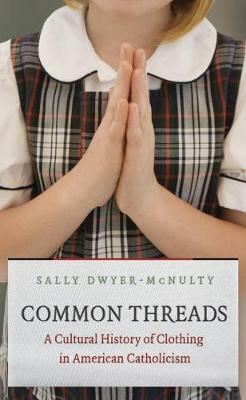 A well-illustrated cultural history of the apparel worn by American Catholics, Sally Dwyer-McNulty's Common Threads reveals the transnational origins and homegrown significance of clothing in developing identity, unity, and a sense of respectability for a major religious group that had long struggled for its footing in a Protestant-dominated society often openly hostile to Catholics. Focusing on those who wore the most visually distinct clothes--priests, women religious, and schoolchildren--the story begins in the 1830s, when most American priests were foreign born and wore a variety of clerical styles. Dwyer-McNulty tracks and analyses changes in Catholic clothing all the way through the twentieth century and into the present, which finds the new Pope Francis choosing to wear plain black shoes rather than ornate red ones. Drawing on insights from the study of material culture and of lived religion, Dwyer-McNulty demonstrates how the visual lexicon of clothing in Catholicism can indicate gender ideology, age, and class. Indeed, clothing itself has become a kind of Catholic language, whether expressing shared devotional experiences or entwined with debates about education, authority, and the place of religion in American society.